Our generous sponsors make the National Speech & Debate Tournament possible! Thank you for showing your commitment to fostering excellence in young people through speech and debate activities. More than $100,000 in scholarships is awarded at the National Tournament each year! $5,000 – To each of the two Public Forum championship debaters. $4,500 – To each of the two Public Forum finalist debaters. $2,500 – To each of the four Public Forum semifinalist debaters. $1,500 – To each of the eight Public Forum Debate quarterfinalist debaters. $1,000 – To each of the twelve Public Forum Debate octafinalist debaters. $10,000 – To the Big Questions national championship debater. $5,000 – To the Big Questions second place finalist debater. $2,500 – To the Big Questions third place finalist debater. $2,500 – To the Big Questions fourth place finalist debater. $2,000 – To the national champion in Original Oratory, presented by the Patrick Henry Memorial Foundation Auxiliary. $1,000 – To each national champion in Richard B. Sodikow Policy Debate, presented by Trinity University. $1,000 – To the national champion in Lincoln-Douglas Debate, presented by Illinois College and Victor Jih. $1,000 – To the national champion Senator, presented by the Stennis Center for Public Service. $1,000 – To the national champion Representative, presented by the Stennis Center for Public Service. 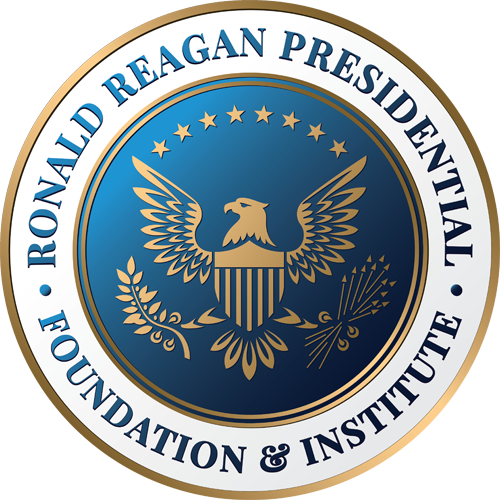 $1,000 – To the national champion in Carmendale Fernandes United States Extemporaneous Speaking, presented by the Ronald Reagan Presidential Foundation & Institute. $1,000 – To the national champion in A. C. Eley International Extemporaneous Speaking, presented by the Council on Foreign Relations. $1,000 – To the national champion in Informative Speaking, presented by the National Speech & Debate Association. $1,000 – To the national champion in Humorous Interpretation, presented by Western Kentucky University. $1,000 – To the national champion in Lanny D. and B. J. Naegelin Dramatic Interpretation, presented by Simpson College. $1,000 – To each national champion in Sandra Silvers Duo Interpretation, presented by Colorado College. $1,000 – To the national champion in Program Oral Interpretation, presented by The Interp Store. 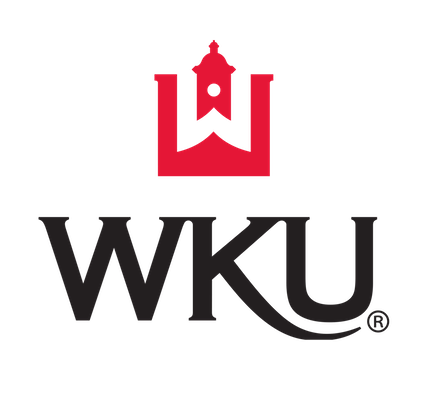 $1,000 – To the national champion in each supplemental speech event (Brother René Sterner Commentary, Expository, Poetry Reading, and Prose Reading), presented by Western Kentucky University. $1,000 – To the William Woods Tate, Jr., National Student of the Year, presented by the National Speech & Debate Association. $1,000 – To the second place finalist in Joe and Pam Wycoff Original Oratory, presented by the Patrick Henry Memorial Foundation Auxiliary. $750 – To the third place finalist in Joe and Pam Wycoff Original Oratory, presented by the Patrick Henry Memorial Foundation Auxiliary. $500 – To the national champion in Extemporaneous Debate, presented by Colorado College. $500 – To the national champion in each consolation event (Impromptu and Storytelling), presented by Western Kentucky University. $500 – To each second place finalist in Richard B. Sodikow Policy Debate, presented by Trinity University. $500 – To the second place finalist in Lincoln-Douglas Debate, presented by Illinois College and Victor Jih. $500 – To the second place finalist in Carmendale Fernandes United States Extemporaneous Speaking, presented by the Ronald Reagan Presidential Foundation & Institute. $500 – To the second place finalist in A. C. Eley International Extemporaneous Speaking, presented by the Council on Foreign Relations. $500 – To each of the top six “Making the Stage” finalists in Joe and Pam Wycoff Original Oratory, presented by Joe and Pam Wycoff. $500 – To the second place finalist in Informative Speaking, presented by the National Speech & Debate Association. $500 – To the second place finalist in Humorous Interpretation, presented by Western Kentucky University. $500 – To the second place finalist in Lanny D. and B. J. Naegelin Dramatic Interpretation, presented by Simpson College. $500 – To each second place finalist in Sandra Silvers Duo Interpretation, presented by Colorado College. $500 – To the second place finalist in Program Oral Interpretation, presented by The Interp Store. $500 – To the second place finalist in each supplemental speech event (Brother René Sterner Commentary, Expository, Poetry Reading, and Prose Reading), presented by Western Kentucky University. $500 – To the second place finalist in each consolation event (Impromptu and Storytelling), presented by Bob and Salli Stockton. $250 – To each final round winner of Carmendale Fernandes United States Extemporaneous Speaking, A. C. Eley International Extemporaneous Speaking, Joe and Pam Wycoff Original Oratory, and Informative Speaking, presented by Donus and Lovila Roberts. $250 – To each final round winner of Lanny D. and B. J. Naegelin Dramatic Interpretation, Humorous Interpretation, Sandra Silvers Duo Interpretation, and Program Oral Interpretation, presented by the National Speech & Debate Association. 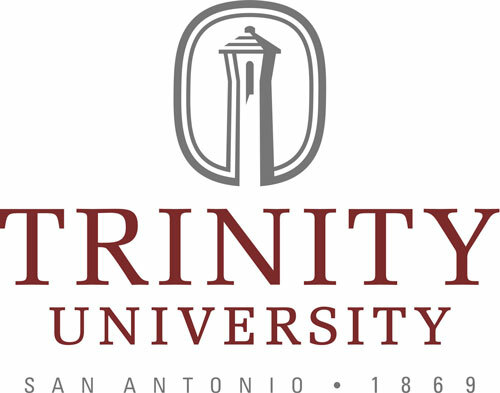 $250 – To each third place finalist in Richard B. Sodikow Policy Debate, presented by Trinity University. $250 – To the top speaker in Richard B. Sodikow Policy Debate, in honor of Phyllis Flory Barton. 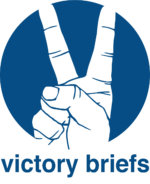 $250 – To the third place finalist in Lincoln-Douglas Debate, presented by Illinois College and Victor Jih. $250 – To the third place finalist in Carmendale Fernandes United States Extemporaneous Speaking, presented by the Ronald Reagan Presidential Foundation & Institute. $250 – To the third place finalist in A. C. Eley International Extemporaneous Speaking, presented by the Council on Foreign Relations. $250 – To the third place finalist in Informative Speaking, presented by the National Speech & Debate Association. $250 – To the third place finalist in Humorous Interpretation, presented by Western Kentucky University. $250 – To the third place finalist in Lanny D. and B. J. Naegelin Dramatic Interpretation, presented by Simpson College. $250 – To each third place finalist in Sandra Silvers Duo Interpretation, presented by Colorado College. $250 – To the third place finalist in Program Oral Interpretation, presented The Interp Store. $250 – To the third place finalist in each supplemental speech event (Brother René Sterner Commentary, Expository, Poetry Reading, and Prose Reading), presented by Western Kentucky University. $250 – To the third place finalist in each consolation event (Impromptu and Storytelling), presented by Bob and Salli Stockton. $200 – To each national champion in United States World Schools Debate, presented by the National Speech & Debate Association. $100 – To each second place finalist in United States World Schools Debate, presented by the National Speech & Debate Association. Every year, more than 7,000 students, coaches, teachers, parents, and supporters from across the country attend the National Tournament. The student competitors represent the best and brightest young people across the United States and the globe. You don’t want to miss this unique educational event to reach an outstanding group of young people and their supporters. Please contact Emily Kriegel at emily.kriegel@speechanddebate.org or (920) 748-6206 with any specific questions you may have. The National Tournament Expo provides a safe and organized environment in which exhibitors and supporters may connect with coaches, parents, and students. The reservation deadline is May 31, 2019. Exhibitors may request any available table range by marking their request on the Expo Registration Form. While the National Speech & Debate Association will attempt to accommodate requests, final placement will be at the discretion of national office staff. The Sunday Expo will be held concurrent with high school registration. Set-up will begin at 7:15 a.m. on Sunday. Exhibitors who have not arrived by 8:30 a.m. may forfeit their table. Refunds will not be given for failure to attend. Exhibitors must remain open until 3:00 p.m. on Sunday to be invited back to the Expo the following year. Exhibitors may choose to reserve additional tables at the Sunday Expo, or during the competition week. Venues are tentative and subject to change. A reservation is considered complete once an Expo Registration Form has been submitted to the national office and payment has been received by or before May 31, 2019. All payments are non-refundable. National Tournament Expo vendors who also exhibit at the Conference Expo (August 4-6, 2019) can receive 20% off their Conference Expo purchase. Please contact Emily Kriegel for details! Exhibitors may also attend NSDA National Conference sessions by registering here. Reserved exhibition space includes one six-foot or eight-foot table, depending on the location and availability of tables. Additional tables may be reserved for an additional fee. More elaborate set-ups may require an additional charge. Please bring power strips if needed to be sure you are able to access electricity. Electrical access is an additional $100 fee and includes one outlet during the Sunday Expo. Access to electricity is not guaranteed at the school sites Monday through Wednesday or the final round venue Thursday and Friday. The NSDA will not provide power strips, power cords, or any other electronic equipment. Internet access is included during the Sunday Expo. The NSDA cannot store any items for vendors prior to, during, or after the Expo. These guidelines will govern all vending at the 2019 National Speech & Debate Tournament. They replace all guidelines from previous National Tournaments. The NSDA retains the right to amend its guidelines as needed. The only exhibitors allowed to vend at National Tournament sites will be those who have reserved exhibition space through the NSDA. Non-approved exhibitors will be removed from tournament premises. Please note that while exhibitors are usually allowed to vend at the tournament venue, local rules may prohibit vending in certain areas. All fees must be paid prior to the start of the Expo. Exhibitors with unpaid fees will not be permitted to attend. Exhibitors must not impede the operation of the National Tournament or exhibit where local rules do not permit selling of products. Only the NSDA or its local hosts may sell T-shirts. No other vendor may sell T-shirts of any kind. Sale of other products sold by the local host committee is also prohibited, including lanyards, nylon drawstring bags, magnets, plastic drinking cups, buttons, and pens. Exhibitors must remain open until 3:00 p.m. local time on Sunday to be invited back to the Expo the following year. The National Tournament Expo officially closes at 4:00 p.m. local time. Vendors are expected to remain within the vending area and not disrupt any competitor or coach in the course of their preparation for or during the actual competitions. The NSDA reserves the right to refuse reservations to any exhibitor. NOTE: Submitting an Expo Registration Form indicates your knowledge, understanding, and acceptance of the National Tournament Expo Guidelines. If you do not agree to the guidelines, do not submit an Expo Registration Form. Our National Tournament Program Book is a great way to connect with all student competitors, coaches, teachers, parents, and chaperones at the tournament. Everyone attending the National Tournament receives a free copy of the Tournament Book, and it is also published online. The Tournament Book is the go-to guide throughout the week. It includes schedules, event information, announcements, annual award listings, and more. You can be a part of the Tournament Book for a low price! All ads must be reserved by April 15, 2019, and final artwork must be submitted by May 1, 2019. You may select check or credit card payment using our online form. All ads must be paid in full by May 1, 2019. All ad files must be in high-resolution PDF format. Note: If you’re a vendor and plan to reserve a table at the National Tournament Expo, you may purchase your Tournament Book ads using our Expo Registration Form. No need to fill out a separate form!